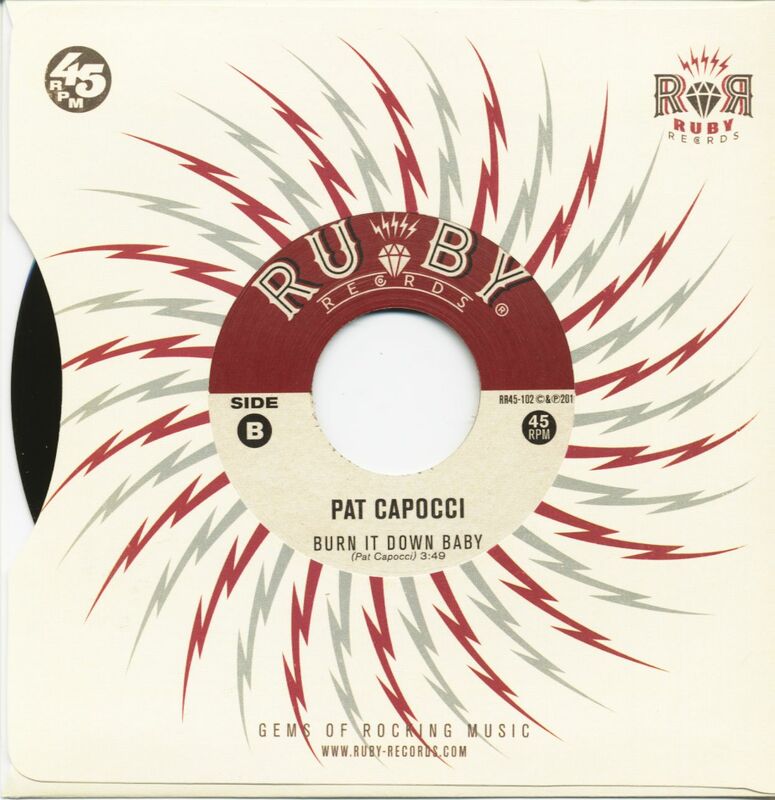 (Ruby Records) 2-Track Single - 45 rpm with company sleeve - Great authentic rockabilly! Hard working and relentless determination are just two characteristics that can be attributed to Pat Capocci. 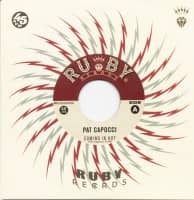 Since forming nearly 10yrs ago, Pat Capocci has emerged as one of Australia’s most respected practitioners of Rockabilly and Roots music. Growing up in the Maitland-Hunter region of New South Wales, Pat spent his early years listening to and being influenced by traditional roots music of yesteryear. At age sixteen Pat became a member of the Hunter’s very own Johnny Greens Blues Cowboys as well as the Torpedoes, and began performing at local pubs and hotels. Pat had a taste of live performance and decided to venture out and form his own band. Many years later and with five records produced on the Presstone Label, including compilations with leading acts across Australia, and one album with Hollywood’s Wild Records, he has now signed with a brand new Australian owned Devil Wind Records and will be releasing his brand new EP ‘More Thrills Than Ever’ mid 2016. Pat Capocci’s ‘all or nothing’ mentality has gained him respect on both a national and international level. Undoubtedly being one of Australia’s hardest working bands, it is no wonder why all ages and subcultures across the world admire the energy and passion fuelled music that is Pat Capocci. With appearances at Viva Las Vegas, Rockabilly Rave, The Hot Rod Hayride, Screaming Festival and the Waldorf Weekender, the international rockin’ scene is no stranger to the combo. Audiences all across Europe admire Pat’s integrity and passion especially after he performed 15 shows across 8 different countries for his European tour of 2014. He then returned 3 times in 2015, and has been asked to return for the 12th time in his career to tour in 2016. Pat has also played alongside some of the finest and most respected international artists including Deke Dickerson, Big Sandy, Imelda May and Justin Townes Earle plus many more. Pat’s unique style and charisma combined with his natural song writing ability has seen the combo transcend the typical novelty of the genre. Pat’s writing style blends a unique feel of western swing, jazz, country and blues, and in the same way that all iconic artists have, Pat has used the genre as a launching pad, deepening and broadening the integrity and timelessness of the music. Pat’s energetic fusion of guitar greats such as Charlie Christian, Johnny Guitar Watson, Merle Travis, Django Reinhardt and Grady Martin, paired with great passion and determination, show exactly why Pat is regarded as one of Australia’s best modern Practitioners of Rockabilly music. Customer evaluation for "Coming In Hot - Burn It Down Baby (7inch, 45rpm)"